” The Obama Administration has declared war on the First Amendment — free speech. Groups that try to educate Americans about the Constitution have been put through the IRS wringer. The Justice Department scoured the emails and tracked the whereabouts of a television news reporter. These are just a couple of cases in which the Obama Administration turned its back on the First Amendment, and its protection of freedom of speech and the free exercise of one’s deeply held beliefs. Furthermore, a number of military members have recently disclosed an alarming rise in First Amendment violations against military chaplains and members. “Just days ago, an anniversary passed which should never be forgotten. On April 1, 1942, an order was issued by Lt. General J.L. 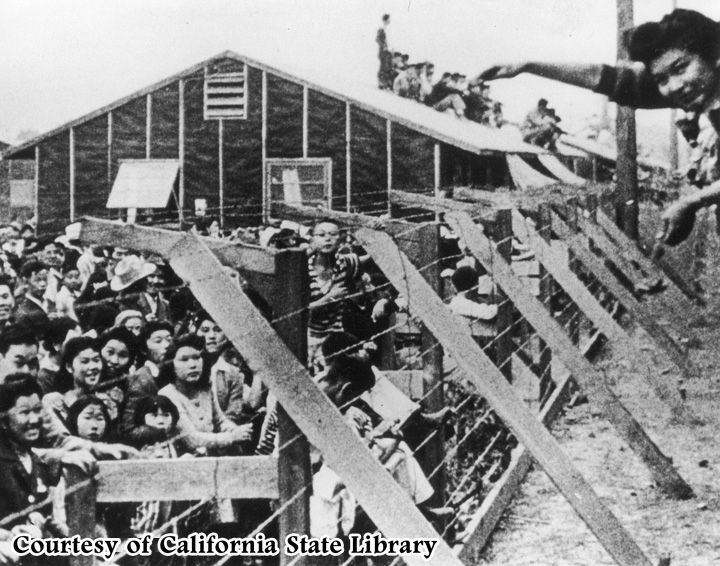 DeWitt which began the forced evacuation and “internment” of people of Japanese descent. In the following three years, over 100,000 people, including US citizens, were “indefinitely detained” based solely on their racial (Japanese) background. This supposedly made them a threat to national security. Thousands of people of German and Italian descent got the same treatment. Many lost everything. A few years later, when the federal government offered to pay claims for lost property, the average payout was a paltry $1392. April 1st should be a reminder to all of us. It already did happen here. Unfortunately, the federal government has granted itself similar “indefinite detention” powers today. But the People have an opportunity to learn from history, and do something about it. In states around the country, legislation is being considered which would severely hamper or even fully block any attempt to arrest and detain people without due process. In Michigan, Montana, Texas and California, votes are coming up soon to move such bills forward. In December 2011, President Obama signed the 2012 National Defense Authorization Act (NDAA), which gave the federal government the power to “indefinitely detain” people, including US citizens. No due process. No access to lawyers. And those who are detained have no idea if they’ll ever be set free. ” With the recent passage by Congress of the 2013 National Defense Authorization Act, soon to be signed into law by Barack Obama, and existence of the 2012 NDAA law, many states have sought nullification of NDAA. Nevada is now set to put forth it’s own anti-NDAA bill, BDR 728. On December 19, the Nevada chapters of the People Against the National Defense Authorization Act (PANDA) announced the introduction of the bill. The bill is sponsored by Nevada State Senator Don Gustavson and will be presented to lawmakers in February when the legislature reconvenes.